Can Nutrition Benefit Surgical Outcomes? https://www.canberrahealthnetwork.com.au/wp-content/uploads/Miriam-Pollak.jpg 200 200 Canberra Health Network Admin https://www.canberrahealthnetwork.com.au/wp-content/uploads/logo-cchn-e1502952373488.jpg Canberra Health Network Admin2019-04-10 18:47:522019-04-10 18:55:45Can Nutrition Benefit Surgical Outcomes? One of the most common complaints I see each week is “I’m allergic to gluten”. Unfortunately, this misconception is fuelled by a number of fad diets. 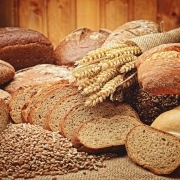 https://www.canberrahealthnetwork.com.au/wp-content/uploads/bread-2864703_1920.jpg 1280 1920 Canberra Health Network Admin https://www.canberrahealthnetwork.com.au/wp-content/uploads/logo-cchn-e1502952373488.jpg Canberra Health Network Admin2018-04-20 13:49:092018-10-11 16:05:40Gluten: Intolerance v. Allergy?